India's research into heavy water production began in the 1960s under the Chemical Engineering division of the Bhabha Atomic Research Center (BARC) and was later continued by the Heavy Water Division (HWD) of BARC. Initially, the HWD established a pilot plant to study the Hydrogen-Sulfide water exchange process. While these studies were in progress, the Nangal Heavy Water Plant in Punjab was commissioned in August 1962. The Department of Atomic Energy's (DAE) ambitious program to supply nuclear power to India required the establishment of a number of heavy water production plants. At the time, it was felt that the planning and construction of the heavy water plants would be best conducted by a separate organization. Subsequently, an organization known as the Heavy Water Projects was established on 1 May 1969. The organization was later renamed the Heavy Water Board (HWB) on 17 February 1989. India is now the second largest manufacturer of heavy water in the world. 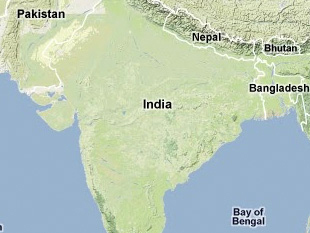 The HWB remains a constituent unit under the DAE and is primarily responsible for the production of heavy water for India's nuclear power plants. The Heavy Water Board operates seven of the eight heavy water production plants in the country. The plants use two chemical processes to produce heavy water: the bithermal hydrogen-sulfide water exchange process and the monothermal ammonia-hydrogen exchange process. The plants employing the ammonia-hydrogen exchange process are linked to nitrogenous fertilizer plants for gas feed synthesis. The main objective of the HWB was to achieve self-sufficiency in the production of heavy water. India's HWB has not only achieved this objective but today boasts the capability to supply heavy water of any specification to anywhere in the world. During fiscal year 1995-96, India exported 100 metric tons of heavy water to South Korea. In October 2000, the DAE's Heavy Water Board exported an additional 16Mt of heavy water to the Korean Electric Power Corporation of South Korea. A pilot plant researching the alternative technology of water ammonia exchange has been commissioned at Baroda, Gujarat and is in the process of being scaled up. This project will make the ammonia-based plants independent of the fertilizer plants, on which they have been dependent for chemical and steam inputs. Such modifications are necessary to sustain operations at the Baroda Heavy Water Plant. Operations at the Baroda site have been suspended since December 1998 due to the closure of the old ammonia plants to which it was linked. At the Talcher Heavy Water Plant, an R&D pilot plant has been commissioned for the production of Di-2-ethyl hexyl phosphoric acid (D2EHPA). The production process of the solvent was indigenously developed by the engineers of the HWB in consultation with BARC. The HWB is now offering the product to industries worldwide as TOPS (Talcher Organo-Phosphorous Solvent)-99. The solvent is an effective metal extractant, used for hydro-metallurgical recovery and the separation of various metals. The solvent is useful for concentrating and purifying the valuable metal solutions of low-grade complex ores and is already being used by India's nuclear industry at various commercial operations for the separation and recovery of Zinc, Cobalt, Nickel and Rare Earths. Development of another solvent called Tri-Butyl Phosphate (TBP) is also underway. It has applications in nuclear and non-nuclear activities. "Awards and Accolades," Heavy Water Board Newsletter, Vol. 06, November 2000, www.heavywaterboard.org. Heavy Water Board (HWB), www.heavywaterboard.com.